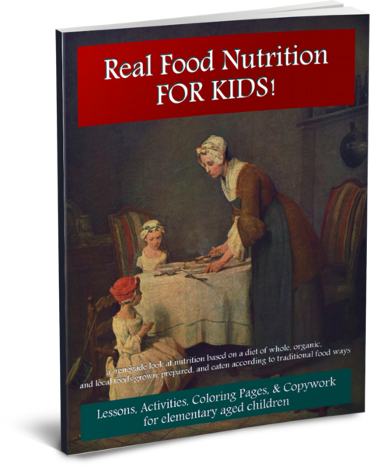 Introducing Real Food Nutrition FOR KIDS! Do you want to teach your younger children about Real Food? 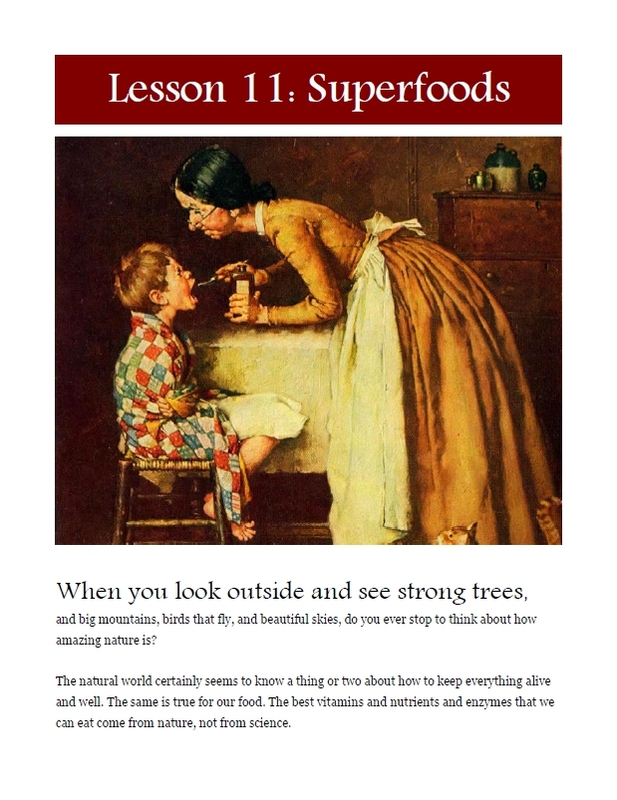 To use child-friendly lessons inspired by the same love of wholesome, traditional foods that you find in the cookbook Nourishing Traditions, the work of Weston A. Price, the Slow Food movement, and farmer's markets everywhere? To avoid the twaddle put out by the USDA which features their sub-par Nutrition standards? A beautiful book full of fun illustrations, coloring pages, and activities for younger children? 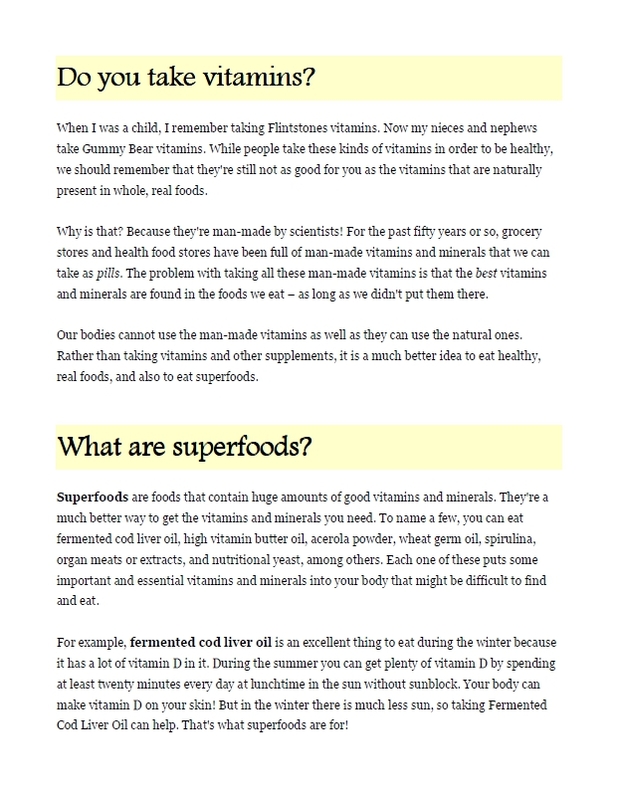 I've been homeschooling my 5 kids for 18 years, and I've long wished for a way to present Nutrition to them that would support my own Nourishing Traditions inspired beliefs. I'm so excited to see this book! It's EXACTLY what I was hoping for. My husband and I have raised pasture-based chickens and cattle for the last 6 years. We're very excited to see a Nutrition book that actually highlights the benefits of raising animals according to natural principles rather than industrial ones. Before this book, we had to create our own Nutrition hodge podge from stuff off the internet and Nourishing Traditions. That was okay, but this is far better and completely worth the price! Thank you! 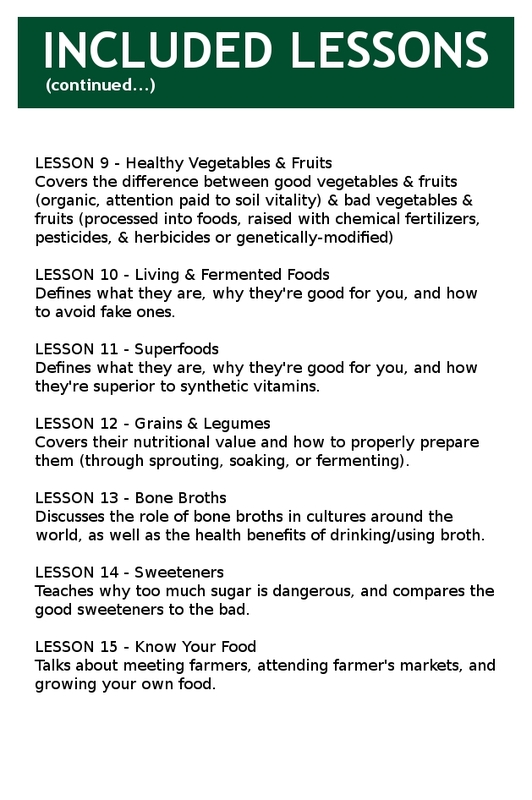 I'm looking for a Nutrition curriculum to help teach my two oldest about exactly why raw milk and dairy can be so healing, why the food we get from our local farmers is more nutrient-dense and worth the premium, why returning to local and organic foods represents better stewardship of the land. Thanks for writing this book! I've been helping to organize my local Farmer's Market for about 5 years. I know first hand the difference in quality and nutrition between eggs from hens raised indoors and those from hens who are out to pasture! 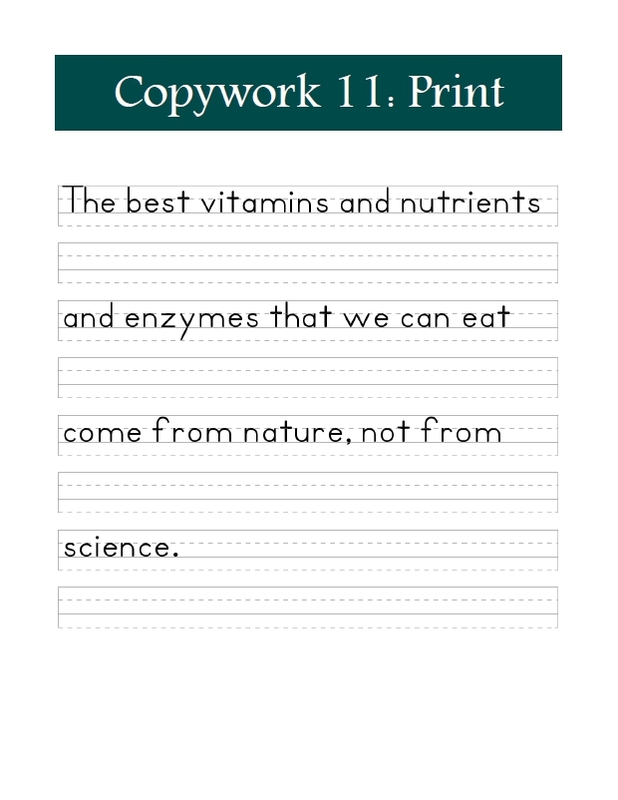 It's great to see a Nutrition textbook that finally acknowledges this. 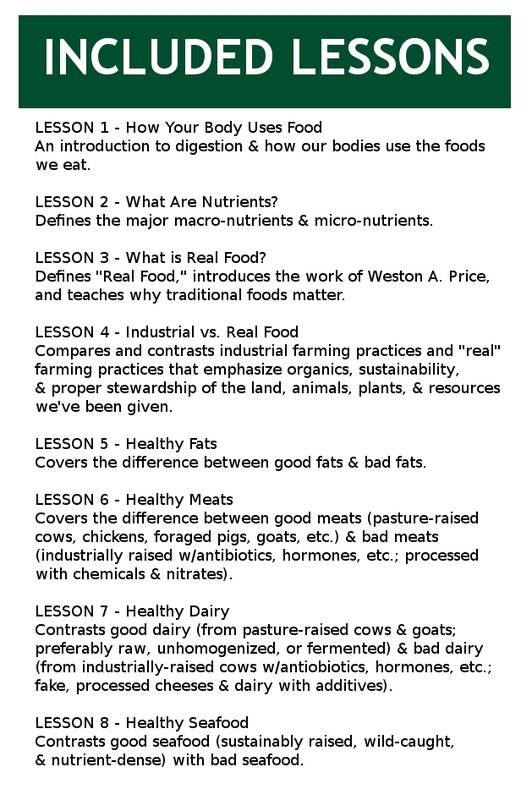 It's about time someone taught Nutrition in a way that acknowledged how we need to take care of the soil to grow nutrient-rich produce, about time they stood up against new-fangled industrially-made refined cooking oils in favor of the traditional cooking fats of our ancestors. Thank you! Help young children learn the basic concepts of digestion, nutrients, healthy food, and where their food comes from. Short lessons, easy to understand writing, and colorful illustrations & activities help children grasp important concepts. This is no stale read full of boring facts, but an intensely readable little collection of lessons meant to engage your child. 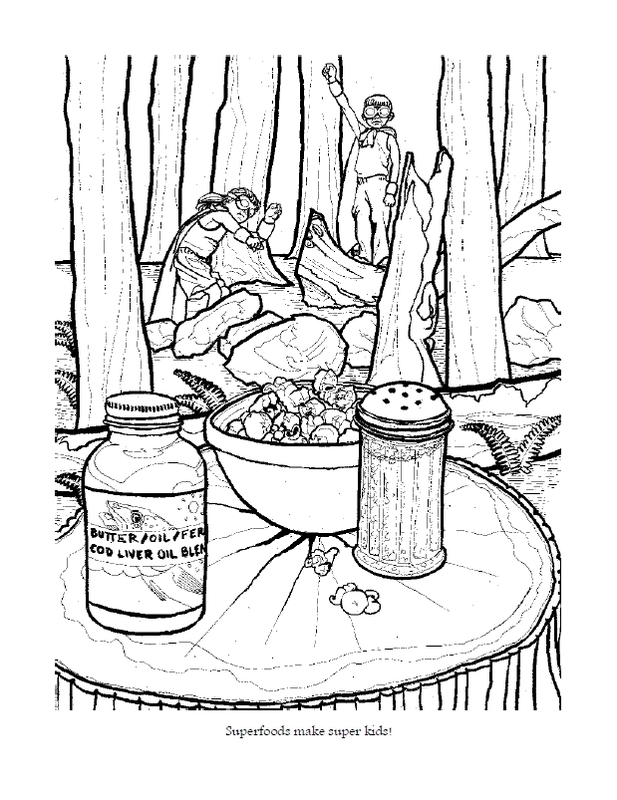 Each lesson includes a fun, beautifully-illustrated coloring page to help drive the lesson home. 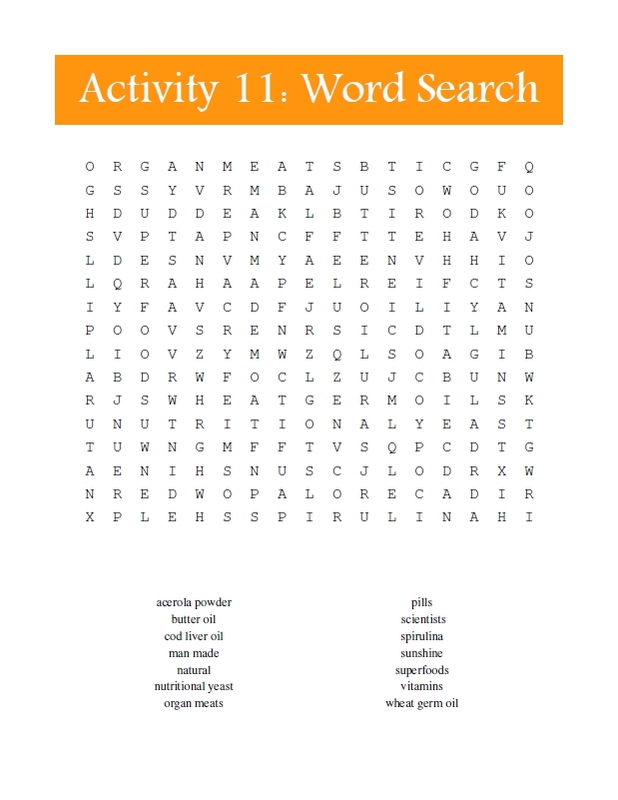 Word search and Crossword puzzles. Fun diagramming and charting. Each lesson comes with a playful and educational activity. 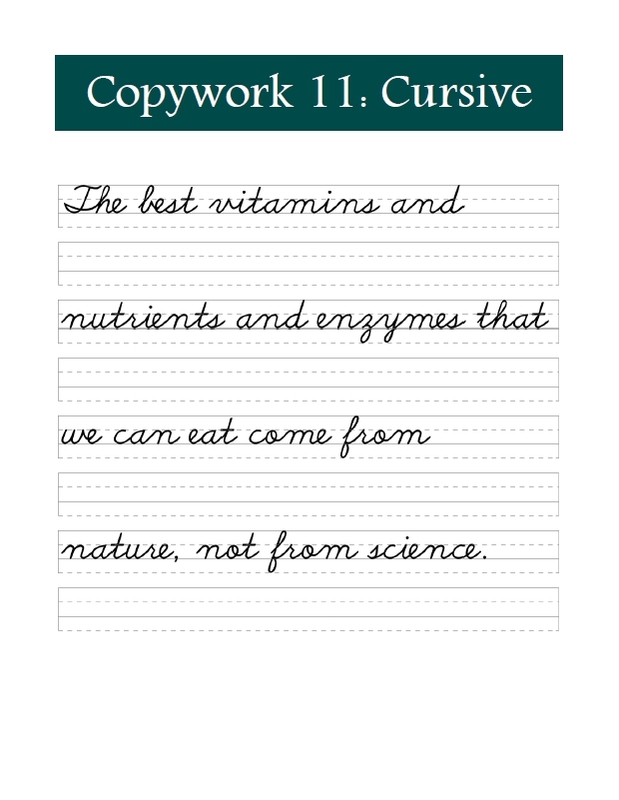 Handwriting practice at its finest, copying key ideas from the lessons in both print and manuscript options. I'm a lover of real food. This is food that your great, great grandmother would have recognized as food. Translation? I drink raw milk from pastured cows. I eat wild-caught or pastured meats. I don't eat out of boxes, but cook with fresh ingredients. I know my farmers and buy directly from them. I'm not afraid of using fats like coconut oil, beef tallow, olive oil, ghee, or butter from grass-fed cows. I enjoy preserving food through natural fermentation and like to include these lacto-fermented foods regularly in my diet. I drink kombucha. I eat sushi. I think food ought to be sustainably produced, organic when possible, local, and prepared according to the wisdom of our ancestors. It's called "historical normalcy," and I embrace it. © 2012 Kristen Michaelis | Privacy Statement | Want to earn money as an affiliate? Sign up here.